1. Charges for donations to local charities without your consent. 2. Bellhop service charges even if you didn’t use them. 4. Charges for using the business center, fitness center or other amenities. 5. Charging extra for a new set of clean towels or sheets. 6. Adding fees for using the in-room coffeemaker. 7. Sometimes guests are charged for the in-room safe, even if it’s not used. 8. Package delivery fees are applied for receiving mail. 10. Paying steep fees to use the internet. There are however some things that you can do about this. First of all, always carefully look though the bill when you’re checking out of a hotel and dispute any fees they’re charging you for things you didn’t use. It is possible to have many of these charges dropped by negotiating with a manager. I think that Joe Sharkey of the New York Times offers a better solution though. 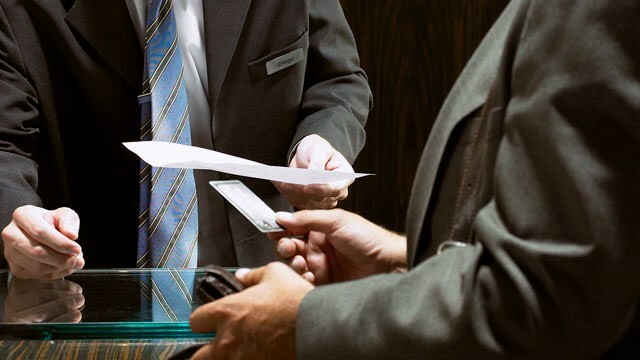 Whenever possible try to stay at mid-level hotels that cater primarily to business travelers. Many of these hotels offer a wider range of services and amenities which are built into the nightly rate they advertise. You may be paying a higher nightly rate but you can rest assured that you won’t have any nasty surprises when you look at the bill when it’s time to check out. Don’t hand over your credit card too quickly. Toptenz.net has compiled their list of the Top 10 Most Dog Friendly Cities in America. The top five cities on the list are Chicago, New York, Orlando, Colorado Springs and Austin. Austin takes the top spot with its 12 off-leash parks and a large number of animal friendly restaurants and stores. Churchill has a large selection of pet-friendly apartments on the east coast and nationwide. Please contact us at 866-255-0593 or email National@FurnishedHousing.com for more information. LAtimes.com has a slide show previewing the Oscar set for the 82nd Academy Awards. The Oscar telecast will take place Sunday, March 7 at the Kodak Theatre in Hollywood, Los Angeles, California. 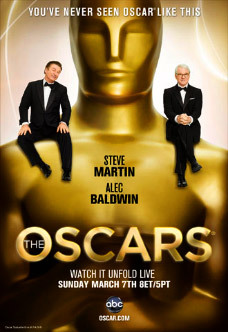 It will feature Steve Martin and Alec Baldwin as co-hosts. Churchill has short-term apartment rentals in Los Angeles and throughout California. Please call 866-255-0593 or email National@FurnishedHousing.com for more information. In her April 2009 Mobility article, Corporate Housing Myths Debunked, Kimberly Smith discusses some of the most important aspects of the corporate housing market and debunks some of the most famous myths associated with the industry. Companies who try to offer their own corporate housing most often end up handing over the corporate relocation to corporate providers who have it down to a science. Factoring in the set-up costs, delivery fees, and the money that goes into furnishing the apartment and keeping up the utilities, as well as the time involved in setting up corporate housing, most companies cannot afford to handle corporate housing themselves. Churchill Corporate Services is an industry leader with affordable rates and a wide-selection of temporary housing locations. Some of Churchill’s other services include furniture rental, disaster housing, and apartment management. Tags: Atlanta, Boston, corporate apartments, Corporate Housing, Corporate Relocation, Corporate Travel, Extended-Stay Hotel, Minnesota, Mobility, Temporary Housing, Washington D.C.
As the temporary housing industry continues to grow, more options become available to those relocating or seeking corporate apartments. Mobility’s “Diverse Choices for Temporary Corporate Housing” thoroughly explores the temporary housing options that are available in several top markets, such as Atlanta, Boston, Washington, D.C., and Minnesota. The article also goes into detail about the differences between the temporary housing and the extended stay hotels. Check out the entire Mobility article. Relocating or seeking temporary housing? Visit FurnishedHousing.com for all your corporate housing needs.